When a person is wronged, he has the duty of warning others lest they suffer the same impositions. In these pages, therefore, I shall reveal the conduct and character of a set of wicked men. It is an exposé which will shame them and shock the sense of every candid and honest man in Christendom. Lamentable as the truth may be, it must be told. An example of their egotism and arrogance may be seen in the following observations of Mr. Finney, made to me a year or two ago. 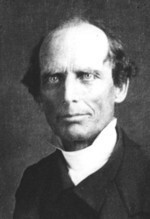 In his early labors he had been associated with another prominent revivalist, Jedediah Burchard. To the contrary, I said, I had understood he thought much of Mr. Burchard, having been converted under Burchard's preaching. If a new Institution of learning is to be founded on previously unsettled land  a manual-labor Institution where students earn their keep by felling trees, erecting buildings, and planting crops  it ought to be established at a favorable location in a healthy climate. There should be productive land, well-drained but supplied with good water. There should be other advantages to attract a scholar whose soaring mind delights in picturesque and diversified scenery. Yet a quarter of a million dollars has been obtained for the establishment and support of an Institution in a place where there are none of the above inducements. The soil is low, wet, and clayey, with no streams. The stagnant marshes breed fever and make it very difficult to labor in the fields during much of the year. 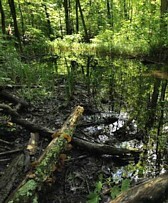 Strangers call it a mud-hole or a swamp. Why here, of all places? 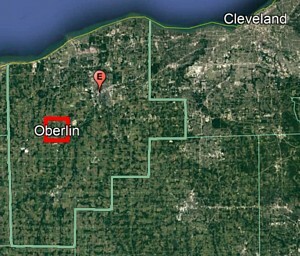 The Colony of Oberlin, as it is generally known, was founded in the spring of 1833 by Rev. John J. Shipherd. Until then he had been Pastor of the First Presbyterian Church in Elyria, a village in Lorain County whose people were considering founding their own college. But he was induced to leave, for reasons I have not been able to ascertain. Shipherd gathered his few remaining followers, most of whom were bankrupt merchants. They were able to obtain land by imposing upon the charity of the public and the liberality of land speculators. The location was eight miles to the southwest of Elyria: three miles square in Russia Township. The symbol locates the Elyria church in this present-day overview of Lorain County. The Oberlin Colony was established in the square outlined in red, with the college in the center. The next effort was to obtain colonists by holding out false inducements. Among the misrepresentations was that the land was suitably dry, of an undulating surface, producing good water, and susceptible of easy cultivation. Also, colonists were promised superior opportunities for the education of their children. Many, however, have been obliged to send their children to distant places to prepare for college. The third effort was to obtain funds for the erection of buildings. Mr. Shipherd went forth to gull the people. He asked for contributions to colonize a zealous and peculiar people for the Lord, thus advancing the great cause of Christianizing the Western world. He described the promising prospects of the area  indeed all the beautiful Valley of the Mississippi, presently inhabited by ignorant, immoral, and depraved savages  and extolled the great benefits to the Church if she could gain dominion over this land. He also described the plantations of the South and his determination to pursue the object of abolishing slavery. Another source of funds was the scholarship system. In the beginning, students were required to pay $150 for a scholarship, entitling them to tuition at the Institution as long as it should exist. (They also reaped the benefits of manual labor from farming, and they could obtain implements, books, and room and board at cost  from $600 to $1,000 a year.) These were allurements to support bankrupt knaves out of the pockets of poor young men. But alas! Coinciding with my arrival as a student in the summer of 1835, at the close of the Institution's second year, the scholarship system was abandoned. Now, if students with or without scholarships have any advantages in the Institution, they must pay for them. I would say to anyone who may have paid $150 in good faith for a scholarship, if he wishes to know the present value of it, to subtract the same amount. I think you will be fully prepared to give the agents of Oberlin Collegiate and Theological Seminary due credit for having very ingeniously swindled from you one hundred and fifty dollars.